Legend has it that the city of Puebla was built upon the whispers of angels. Taking in views of the city’s heritage district, it’s easy to imagine that some heavenly intervention is responsible for the Mexican metropolis. Cobblestones streets, museums, restaurants and shops intermingle with ancient buildings. Grand Fiesta Americana Puebla Angelópolis takes its name from the city’s otherworldly origins, and now sits in this lovely historic section. 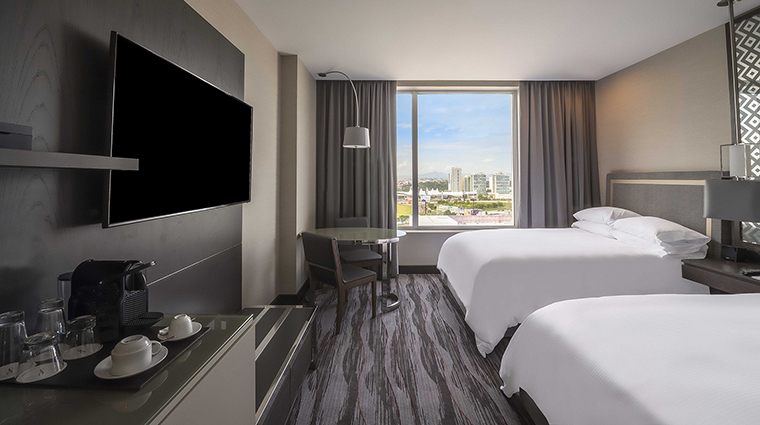 The 168-room Grand Fiesta American Puebla Angelópolis is an impressive urban resort that accommodates both leisure and business travelers. 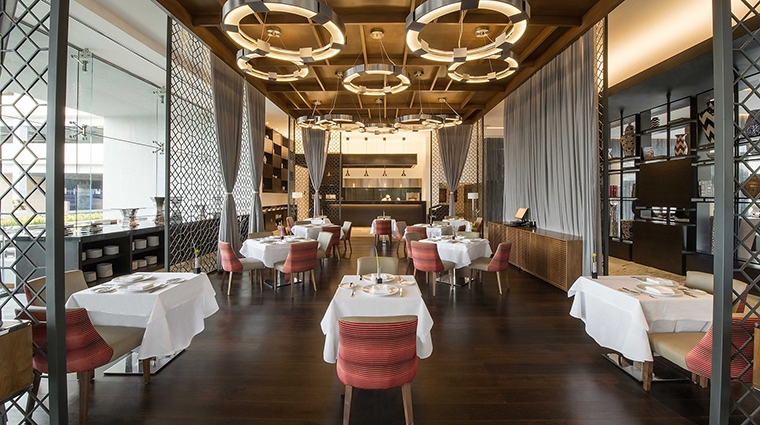 The hotel places importance on the fusion of elegance and function in its surroundings. The 30-foot-high luxurious lobby welcomes you with an array of interior touches that display Mexican artisan craftsmanship. • A flowing wooden spiral staircase connects the lobby to the mezzanine with walls of glass and light. 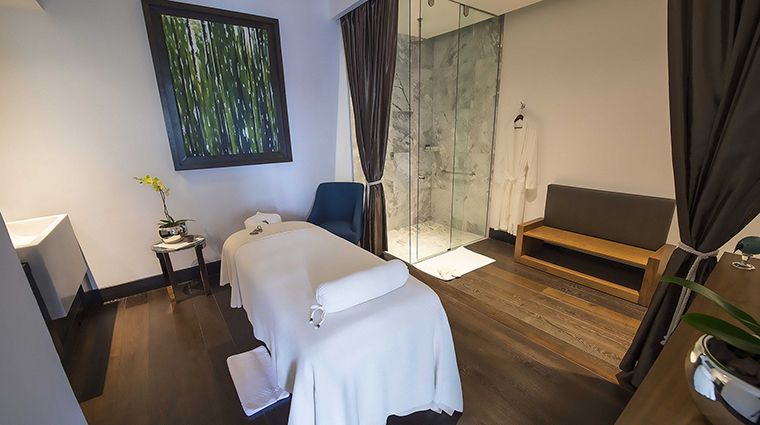 Beyond that, you’ll find a pool deck that overlooks the city, a gym and a wellness center equipped with steam and sauna rooms and top-of-the-line spa treatments. • For the best in local cuisine, head to Barro Azul, the hotel’s spacious and lofty restaurant. Celebrate Puebla gastronomy with its famed mole poblano (a flavorful sauce made of chili peppers, chocolate sauce and assorted spices) and squash blossoms served in tacos with tasty local cheeses. 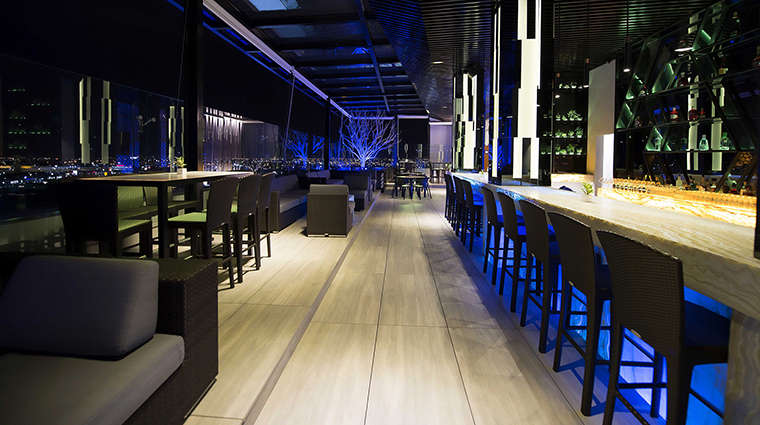 • The hotel’s rooftop Sky Lounge features tables and fixtures in white, black and red onyx that comes from the region. Look out over the city and enjoy the bar’s gin creations and its extensive mezcal selection from Oaxaca and other surrounding regions. • Those in town for work will appreciate the elegant business center and bright conference and event facilities. • Puebla is the fourth-largest metropolitan area in the country, serving as a hub for eastern Central Mexico. • It’s a modern city of industry with deep roots — Puebla’s historic center was established in 1531 and is a UNESCO World Heritage Site. • The Grand Fiesta brand falls under the Grupo Posadas umbrella, which embraces Mexico’s innate and dignified sense of culture and warm hospitality. With 110 hotels and resorts, it is the largest hotel company in Mexico with more than 18,000 rooms in 45 cities in Mexico and Texas. • Throughout the Puebla hotel, you will find exquisite examples of the striking Talavera pottery, a style that has been continuously produced for more than four centuries in the city. Pick up pieces to take home at any of the nearby factories. 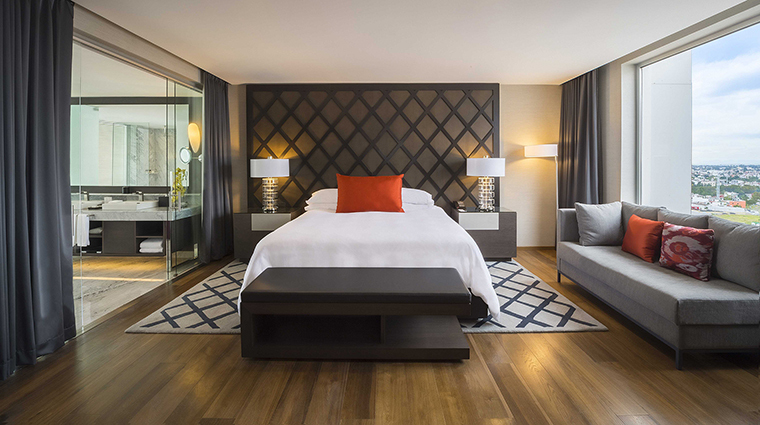 • The guest rooms are appointed with elements of glass, fine woods and marble, which give a modern and inviting feel. 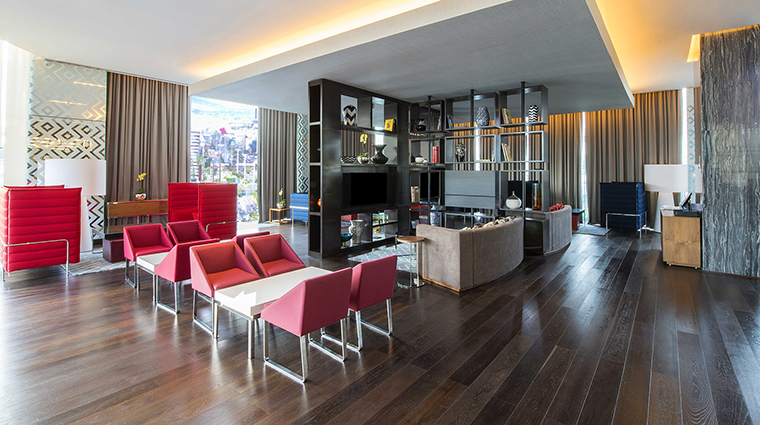 • Comfortable sitting areas, featuring chaise lounges with warm fabrics, make it easy to relax here. 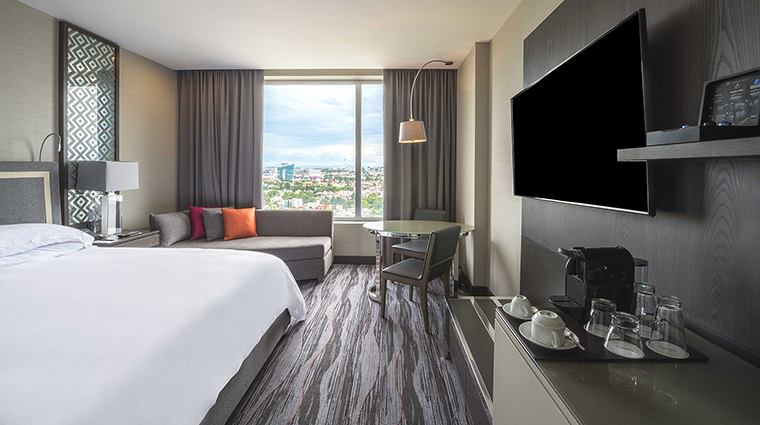 • Controls for all lights and media are within easy access of the bed, and you get to enjoy the view of a 55-inch flat screen. Outlets are conveniently placed throughout the room to accommodate your many devices. 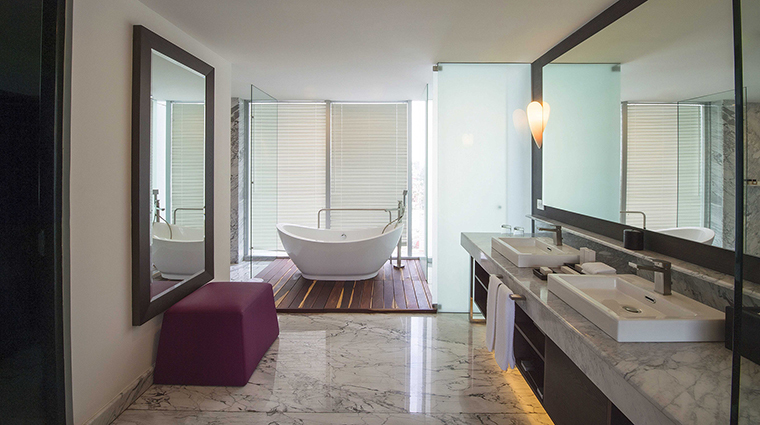 • The finest features are the bathrooms. The shower space is luxuriously large, with a refreshing rain shower and toiletries from posh Gilchrist & Soames. • The hotel sits right across from the city’s new pedestrian promenade and its spectacular 750-ton, 54-gondola Ferris wheel called la Estrella de Puebla (the Star of Puebla). At night, a colorful laser show lights your way from the ride to Grand Fiesta Americana Angelópolis. 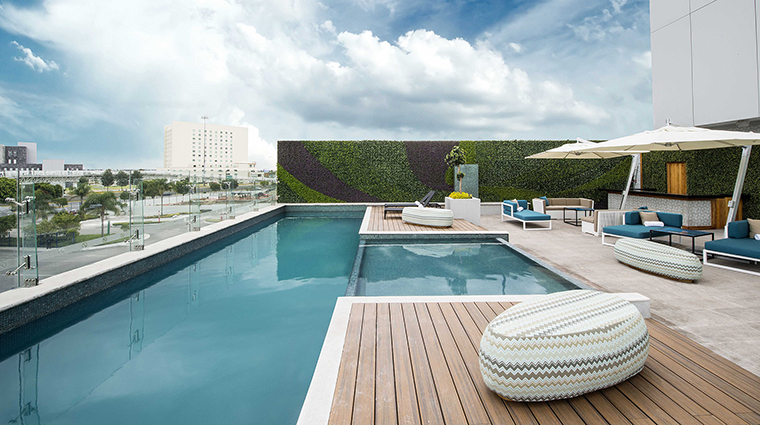 • Puebla’s premier luxury hotel is located near an equally upscale shopping center. The Centro Comercial Angelópolis overwhelms the senses with a collection of gourmet food vendors and shops that rivals London’s Harrods. • Via car, Mexico’s lauded Museo Amparo (which exhibits Pre-Columbian, colonial, modern and contemporary Mexican art) is a mere 20 minutes away. The largest pyramid in the Western Hemisphere, Gran Pirámide de Cholula, is less than an hour’s drive from the Grand Fiesta.